Over the last four years Kippi Leonard has been discovering and practicing in many different mediums and techniques. In her experimental abstract paintings Leonard employs charcoal, pastel and acrylic to create rich, layered compositions to striking effect. However, it is through the discovery of alcohol inks, with their rich depth of color, paired an unbridled fluidity that she found her art began to truly come to life. 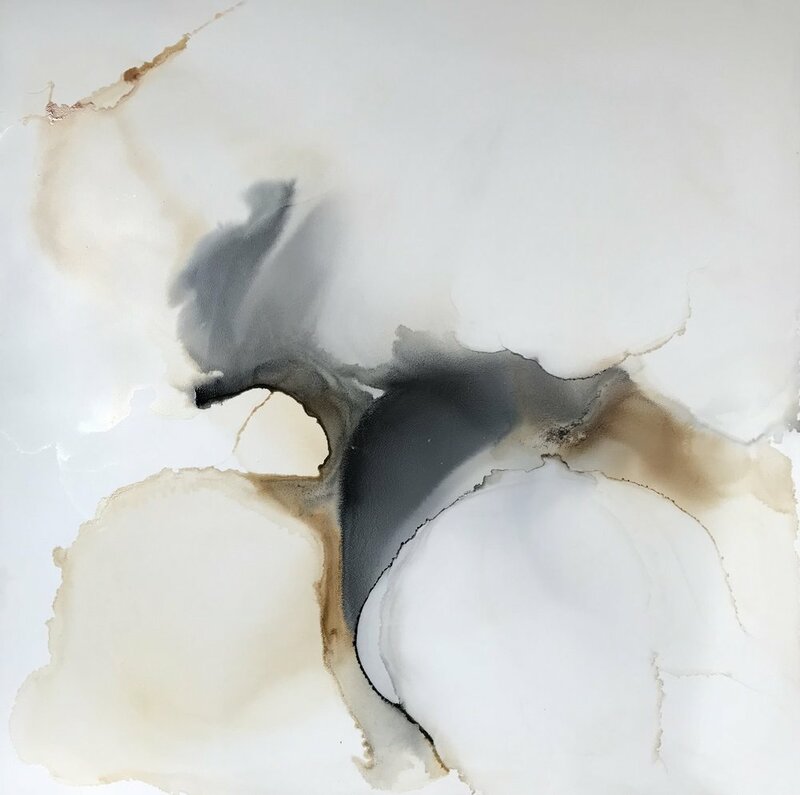 Leonard believes this recent work with alcohol inks most closely reflects her heart and personality. These works include a custom mixed color palette, and utilize pouring, her hands, air, brushes and gravity to guide the ink, working both at an easel and flat on a table. While Leonard's ink work is bold and expressive, her mixed media work is often an exercise in abstraction and mark making, utilizing black and white acrylic paints, metallic pigments, charcoal and subtle finger painted oil pastels. Leonard is influenced by her love of color and design in residential interiors. She believes that there is a connection between where people live and what they surround themselves with, and she creates art with that relationship in mind. She credits traveling the world to locations such as Italy, Israel and Hawaii with all of their unique characteristics, rich heritage, fascinating people, lush landscapes, iconic architecture and historically significant colors as deeply influencing.